Nivi joined the School of Politics and International Relations in 2017. She has previously worked at the LSE and the University of Leiden in the Netherlands. 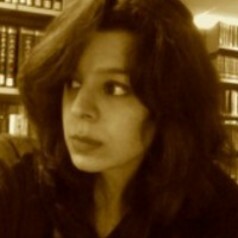 She completed her PhD in 2014 from the University of Cambridge where her thesis – titled Imagining Afghanistan: the History and Politics of Imperial Knowledge Production -- was awarded the Best PhD dissertation in the Arts and Social Sciences by Clare Hall. She is finishing a book manuscript loosely based on this doctoral research. She blogs at the www.thedisorderofthings.com and is the Co-Convener of the BISA Colonial Postcolonial and Decolonial Working Group. Nivi’s research interests include post- and de-colonial theoretical approaches to the study of world politics. She is especially interested in the ways in which knowledge is produced and the raced, classed and gendered nature of both ‘expertise’ and ‘common-sense’. Although she doesn’t have a regional focus per se, she is especially interested in the United States’ imperial interventions in the name of the ‘War on Terror’. Her new research project is on the racialized nature of security both in its theoretical underpinnings and its political praxis.